Our cleansing facial wipes, containing a perfect blend of vitamin goodness and gentle cleansers, refresh and nourish your skin and remove waterproof mascara. Perfect for sensitive skin. Our philosophy is: simple says-never use perfumes, dyes or harsh irritants that can upset your skin. Simple says-settle for only ingredients that meet simple’s purity standard. Simple says-trust the natural goodness in all of our products especially for sensitive. Skin simple says-natural beauty comes from goodness. 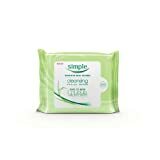 New Simple® Cleansing Facial Wipes are a convenient way to cleanse and refresh the skin – while removing even waterproof mascara. They are oil-free and alcohol-free and do not contain any dyes, artificial perfumes or harsh irritants that can upset your skin. These wipes are suitable for all skin types, especially sensitive skin. Simple® has been helping generations of women look and feel beautiful since 1960. Born in the UK, Simple® was the first skin care line that was designed for all skin types–including the most sensitive skin. By eliminating harsh perfumes and colorings from their cleansing products, Simple® pioneered a care regimen that is kind to the skin–so that everyone could look and feel their best. Today Simple® has 50 years experience in all aspects of sensitive skin care–and–is the UK’s #1, most trusted facial skincare brand. Your skin is a complex organ and the largest on your body. The way it looks and feels isn’t just affected by genetics and your skincare routine, but also by the way you live your life. 58% of women surveyed in the United States believe they have skin sensitivities. However, they don’t believe a brand exists that fully meets their needs. Meet Simple®–the UK-based facial skincare line designed specifically to meet the needs of your sensitive skin. 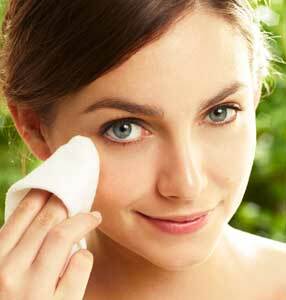 Following these simple tips can help your skin look and feel better everyday. The final step in caring for sensitive skin is applying sunscreen. If your skin is sensitive, it’s more prone to reacting to the harmful effects of the sun. Going out in the sun without SPF can lead to redness, burning, breakouts, and other damage–even after just a few minutes of exposure. So to be safe, apply a moisturizer with SPF 15 every time you leave the house. 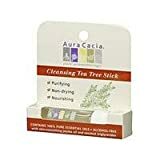 The Quick Weight Loss Inner Cleansing and Blood Wash Diet is available on Kindle or you can download it to your computer with Amazon’s FREE Kindle application for PC.The Quick Weight Loss Inner Cleansing and Blood Wash Diet is an exciting new approach to losing weight quickly while cleansing your body inside and out AND washing your blood! Lose up to 21 pounds in your very first week while restoring your health, vigor and youthfulness! Imagine that in two short weeks you will have washed all the fat, cholesterol, pollutants and toxins from your blood! Turn back the hands of time with a refreshed, energized and rejuvenated body starting today! Not only will you feel twenty years younger, you’ll look twenty years younger as well! The human body is absolutely amazing in its healing and restorative powers. The Quick Weight Loss Inner Cleansing and Blood Wash Diet will teach you how to feed the cells of your body with healing enzymes, antioxidants, vitamins, minerals, phyto-nutrients and phyto-chemicals. You’ll discover the wonder of your body’s organs of elimination and learn how to get your bowel, kidneys, liver, lungs, and skin to flush out all the fat and toxins from your body. If you’re really serious about healing your body and losing excess weight quickly and easily, The Quick Weight Loss Inner Cleansing and Blood Wash Diet is for you! No matter how much you have abused your body in the past with an unhealthy lifestyle, the Quick Weight Loss Inner Cleansing and Blood Wash Diet can work for you! Get started today!!! How Much Weight Can I Lose On The Quick Weight Loss Inner Cleansing and Blood Wash Diet? The reason why I sometimes have a Western version of my Asian Tropical Recipe is simple. First in the West it is not possible all the time to find certain Asian Foods such as Whole Coconut, Coconut Oil, Pineapple,and Papaya Fruit that is fresh and in stock as this food is flown in half way around the world. As good and healthy as these foods are , it is a fact that overseas produce shipped in by air , believe it or not causes more air pollution then all the worlds automobiles put together. That said Pineapple is incredibly high in the natural digestive enzymes Bromelin. And Papaya is incredibly high in the natural digestive enzymes Papain. I would say that of all the imported fruits into the West , Pineapple and Papaya for there known digestive plant enzymes will support your good health like no other for value and availability. It is a good habit to to eat the fruit first or with the meal at the early stage of digestion as all fruit will digest in the stomach much quicker than starches ,fats, and proteins. As a rule for Nutritional Enzyme support at the cellular level I always eat a large percentage of raw food with any heated food for best digestion . Also in regards to Coconut the medium chain Saturated Fatty Acid is not the same as that found in Animal Protein. Coconut Fat will not raise cholesterol the same way as land based meat would, and the coconut meat and its oils actually support the immune system , and feed the beneficial friendly bacteria that we all carry in our digestive tract and stomach ,6 pounds of it for a healthy person. So make friends with your Coconut, Pineapple,and Papaya for your good health and immunity. in warehouses for transport. Some of the produce will be treated with gas , or chemical for longer shelf life. The problem is by time the food gets to your table its not fresh as it should be losing up to 40 percent of its nutritional value and costing you much more money than the local variety of food. Yes I will sometimes purchase overseas produce sparingly, but still at the same time support my Organic Thai Farmer as much as I can. 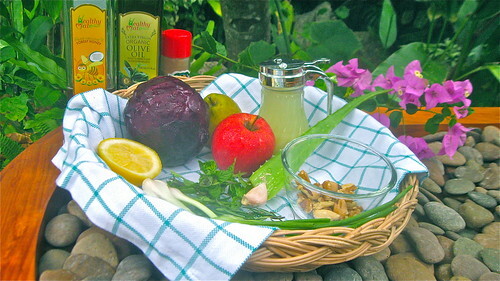 It is good practice to buy your fresh produce in season as well, for highest Value and Nutrition. Another good tip for your money and for putting free food on your table is to not through out the seeds of your produce. I save my favorite seeds for sprouting, and planting in pots , or garden to recycle Nature back into my house hold. Most people I know do not do this , but think about it for a second. One pumpkin alone can give you 100 seeds that turn into 100 individual sprouts and later 100 salad greens for your kitchen table. Why through out all these good living seeds into our land fill just to spoil ,when instead we can save our seeds and use them to but more food on our table? VitaMedica’s Healthy Skin Formula is designed for individuals with mild to moderate acne and other inflammatory skin diseases including psoriasis and eczema. The formulation provides a natural alternative to prescription medications such as antibiotics and Accutane® which display potent activity but may have significant side-effects. VitaMedica’s Healthy Skin Formula is a nutritional supplement that provides internal skin care by enhancing the body’s natural systems for repairing, cleansing and healing. The supplement is intended as an adjunctive therapy to the topical products and/or treatments that skin care professionals recommend for acne patients. Many topical treatments for the care of acne and inflammatory disorders of the skin are currently available. While effective, these regimens contain products that produce an action primarily on the outer layer of the skin. Although the topical approach represents the foundation of good skin care, it also makes sense to address what is going on internally. That’s because what you put inside your body may be just as important as what you apply externally. Other acne treatments, including prescription medications such as antibiotics and Accutane®, can display potent activity but may have significant side-effects. Natural medicines tend to be milder, safer and are far less likely to cause negative reactions.